In a connected world it is important for cloud based applications to be able to communicate and integrate with on premise and online business applications. Microsoft has out of the box and custom options that integrate Dynamics 365 with other business applications using the Azure platform. Here we will discuss Azure Service Bus options. Azure Service Bus provides 3 communication mechanisms – Queues, Topics and Relays. 1. Queues – In a Queue, the sender sends a message to the Azure Service Bus Queue where it stays. When the Receiver connects to the Queue it gets the message. Queues are useful for batch and mobile applications. 2. 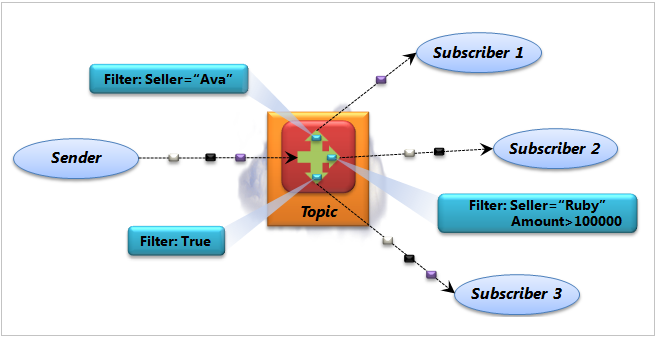 Topics – The sender sends a message to the Topic and it will stay there. There can be one or many receivers. The receivers can all receive the messages. The receiver can also filter the message they receive using their subscription. Relay – Relays provide 2 way / Direct communication link between Sender and Receiver. 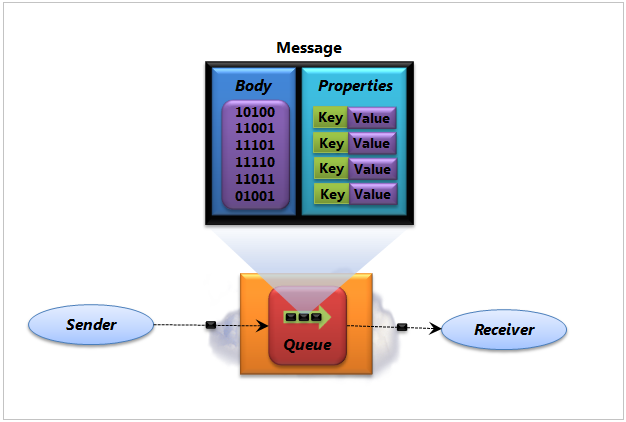 The Sender and Receive are both connected to the Relay using TCP/IP. This overcomes the Firewall and NAT problems faced with direct connections between 2 applications. Relay is created when the Receiver connects to Azure and a link is establish with the Sender. As soon as the connection drops the Relay is deleted.